Is Diamond Puppy Food A Good Option For My Dog? If you’ve been on the hunt for grain-free dog food, you’ve likely stumbled across Diamond. Sometimes known as Diamond Naturals — which is just one of their brands — all of this company’s food is made here in the States.But of course, that’s not all there is to know about the pet food manufacturer! In this article, we’ll take a peek at the company behind the products, the unique features of their kibbles, and review what we consider the best dinner options in our Diamond Dog Food Reviews. We’ll highlight the different lines of puppy food for your growing, mature, or senior dog, and cover the most popular formulas as well! So, read on to find out more about whether this brand is right for your fluffy best friend. Why the Diamond Puppy Food Reviews and Diamond Dog Food Reviews? What does ‘All Life Stages’ really mean? Why are probiotics often considered a good thing? The company behind the kibbles is called Diamond Pet Foods, and its plants are based in California, Missouri, and South Carolina. Family-owned for almost fifty years now, Diamond as we know it now was founded by two relatives, Mr. Kampeter and Mr. Schell. Hence, Schell and Kampeter Inc own the Diamond Pet Foods business. Together, these encompass food for a huge variety of doggy needs — you’ll find puppy food, hypoallergenic options, gluten-free formulas, and some breed-specific recipes to boot. In a day and age where the dog food market is unsurprisingly competitive, it’s lovely to find a manufacturer that emphasizes quality ingredients. But sometimes, we want a little more than just AAFCO-approved food — and the Diamond Naturals ranges go the extra mile. First, the Diamond Original products. 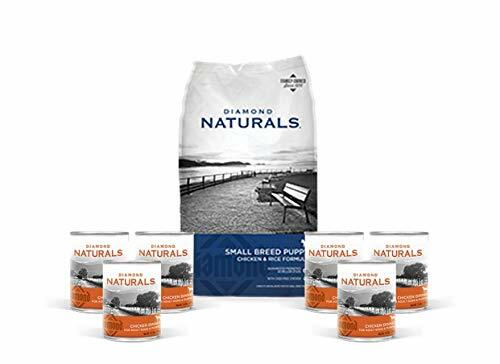 Unlike the slightly newer Diamond Naturals lines, these are not grain-free, nor are they particularly exceptional in terms of healthy ingredients. Nonetheless, the original Diamond recipes provide ample choices for dog owners, with options such as Hi-Energy and Performance for working or active pooches, Premium Adult for shows, breeding, or hunting animals, and Puppy, for those little ones’ development. Glucosamine – alongside supplements of chondroitin, this protects dogs’ (and humans’) joints, helping to reduce the likelihood of complications like arthritis or dysplasia. Also in Diamonds range of products, you’ll notice the Diamond CARE recipes — these cover hypoallergenic and special formulas for dogs with sensitivities and existing conditions. More on these in our reviews! There have been some instances of Diamond Naturals dog food recalls. One notable instance was in 2012, the FDA found that some Small Breed packages were potentially contaminated with Salmonella. In the same year, both the Naturals line and original Diamond range were subject to recall as the net was widened for the same suspected Salmonella event. 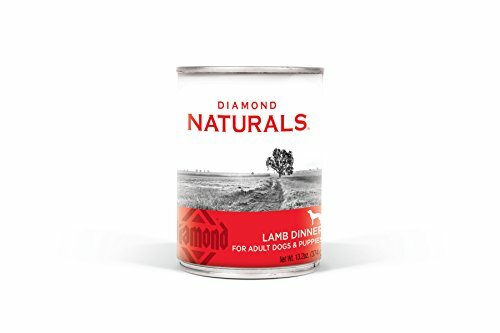 Diamond Puppy and Diamond Naturals Lamb and Rice were among the products recalled. In the aftermath of these recalls, the company has reportedly tightened up safety measures to ensure nothing similar happens again. Diamond offers a generous array of dog food options for all kinds of dogs, including larger breeds that usually need a few special dietary requirements. With a lovely grain-free range of products to choose from, as well as special nutritional formulas, there’s probably something for every dog. While there have been some concerns due to the recalls we mentioned, Diamond Pet Foods does have safety measures for product and environment testing in place. It’s made in the US and not outsourced, and Diamond also uses its manufacturing facilities to produce kibbles for other brands. Shall we tuck into some Diamond Dog Food reviews? A whole selection of equally awesome Diamond Grain-free dog food recipes are available, but here’s the flavor that sounds the tastiest to us! Sweet potato provides vitamins and useful fiber, while beautifully complementing the taste of whitefish in this grain-free formula for young and old dogs. It’s suited for all pooch sizes! None we could spot, we like Diamond Natural’s healthy approach. Whitefish is a great source of lean protein, and a nice refreshing change from chicken (if that’s what your dog’s used to). It’s suited for puppies and nursing mom-dogs, too! With 20% fat for lots of energy, this is designed for energetic or working dogs who burn many calories each day. An ideal source of ‘get-up-and-go’ for sporting canines! Offers 400 k/Cal in each cup, for dogs on the move! Good for a range of different doggy breeds, between 5lb and 100lb in size. Corn’s the second listed ingredient. We’re not super fans of corn and maize-related products like gluten meal in our dog food. But if you’ve got yourself a super energetic dog, the fat content in some other brands may just not cut it. Here’s a 20% fat formula for those dogs who work hard and get active! Within these Diamond puppy food reviews, we’ve included two breed-specific recipes. One for big pups like Labs, Golden Retrieveds, and German Shepherds; one for smaller pooches like Shih Tzu and Yorkies. Veggie fiber and pasture lamb make for a delicious dinner. 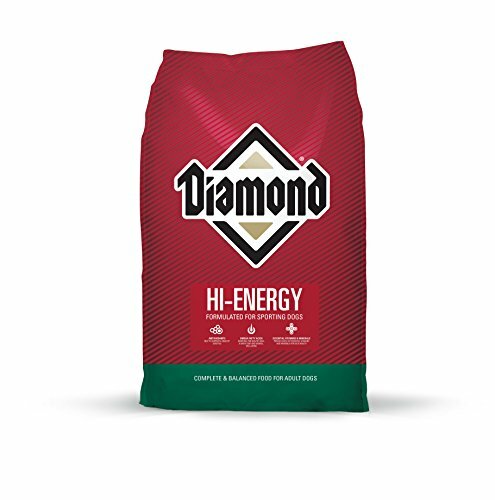 Here’s a Diamond puppy food our little friends can enjoy at any time of day. Includes not only lamb and peas, but pumpkin, kale, oranges, and quinoa—such a varied mix of vitamins! 15% fat—not too much, not too little! With no by-products to be found, there are none that our trained eyes can spot! In this formula, you will also notice L-Carnitine. It’s a great addition for those more muscly breeds of pups, such as Pit Bulls, Mastiffs, Rottweilers, Boxers, Greyhounds, and Dobermans. Diamond Natural Chicken and Rice blend for little puppies features both fruits and veggies alongside the protein-rich meaty goodness. Designed for the higher caloric requirements of our small pooches! It’s full of lovely vitamins to keep your cute little pup in great shape! None! 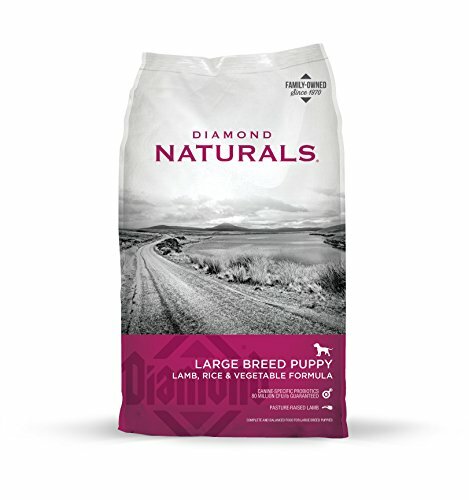 We love the Diamond Natural line, and this is a great, breed-specific recipe to boot. Real vegetables and fruit are always such a welcome sight on an ingredients list; this also places authentic chicken right at the top. Suitable for all dogs under 45lb — and that starts at 1lb small! Diamond makes canned options for both adults and puppies. Here, we couldn’t resist reviewing the tasty-sounding lamb pâté for adults, but rest assured — the chicken and beef flavors are puppy-friendly. And, they’ll get those little tails wagging! Authentic lamb gives this wet dinner for adults a gorgeous flavor that’s received many great reviews. No wheat, nor other fillers, and it includes gut-healthy probiotics. Besides lamb, you’ll notice that the protein in here comes from quinoa, too! Comes as a tantalizing pâté – deliciously difficult for dogs to resist! Why not let your dog get some moisture, the fun way! This pâté dinner is easy to digest and offers a super-soft option for older dogs. And, actually, this is quite an economical choice for canned food of this healthy caliber. 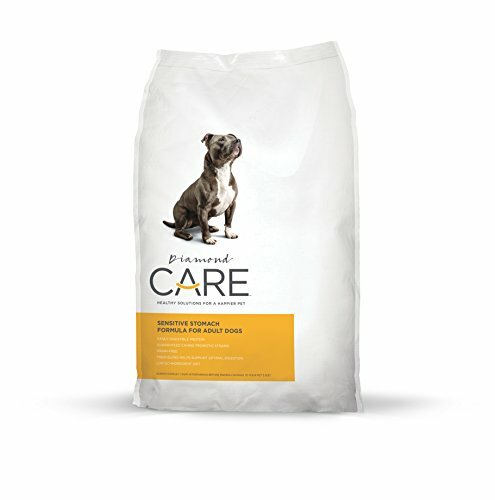 As we noted, Diamond CARE is a range that’s dedicated to dogs with special dietary requirements. One caveat — all the Diamond CARE products are designed only for adult dogs, and they don’t provide the requisite nutrients for our little puppies. This is a 100% gluten-free recipe that also leaves out synthetic add-ins. 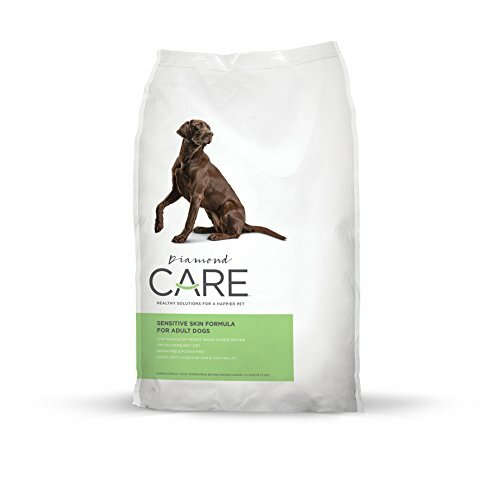 Fortified with Omega acids, it’s designed to reduce itching and sensitivity for our pets. Nope, we think this is a great blend and it offers a nutritious, complete range of ingredients while still falling under the ‘limited ingredients’ heading. Itchiness, inflammation, and sensitivity more generally can be a source of distress both for dogs and their humans. Recipes like Diamond CARE Sensitive Skin that use hydrolyzed proteins can often help manage these symptoms. If you want to find out more about hypoallergenic food, check our full page! Here’s one for those dogs that have difficulties more related to digestion. If gas and bloating sound closer to your dog’s problems, your vet may have suggested a sensitive stomach blend. This is a great one. Features glucosamine-rich menhaden oil — great for joints! Dogs who can’t handle potato or chicken won’t be able to eat this. A sensitive stomach shouldn’t prevent your dog from being able to enjoy his food! This contains antioxidants, too, from natural flaxseed, as well as fiber for smooth digestion. Yum! To fall into the ‘Suitable For All Life Stages’ category, dog foods need to meet certain criteria set out by the Association of American Feed Control Officials (AAFCO). Dogs go through four stages, including the well-known growth stage (puppies) and maintenance phase (adulthood). Two of these stages apply only to female dogs: gestation (roughly, this refers to pregnancy), and lactation (while female dogs are feeding their pups). Of course, each dog is going to have different dietary needs at each of these stages. Pups, for example, need to get more fat and energy in their diets than adults, while gestating/pregnant dogs will also have relatively high energy needs. 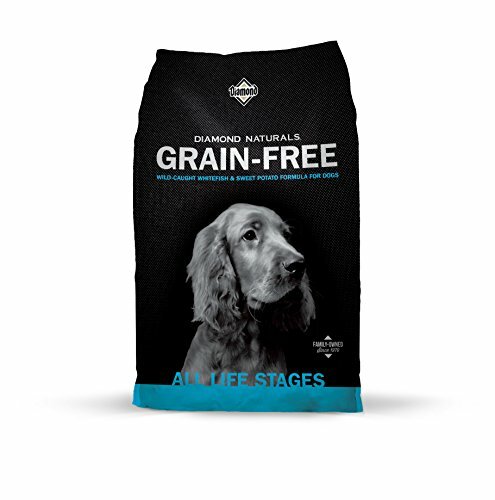 An AAFCO-approved ‘All Life Stages’ kibble needs to include all the nutrients that our dogs will need at each of these phases. While this covers a large range of different canine needs, it doesn’t include specialized considerations such as gluten-free or chicken-free diets might. You’ve definitely heard of antibiotics, but may not have heard as much about probiotics. In very simple terms, these are the ‘good’ bacteria that we often hear about — often when people are chatting about yogurt or certain cheeses. They are microorganisms and bacteria which keep your dog’s digestive system in ‘balance’. Yes, they are alive, but the probiotics in respectable dog foods are nothing to be feared. They are included in dog foods with the aim of helping your best friend ‘break down’ his dinner more easily. Diamond has a developed its own proprietary probiotic that is especially for canines. It’s quite helpfully called…K9!